Full disclosure, this post is mostly for the friends and family members who have been constantly asking me, "Hey, Lindsey, what do you want for Christmas?" And not to complain about the most first world of problems, but since I get a ton of free makeup and clothing for my job, it is really hard to think of things that I really want to add to my list. 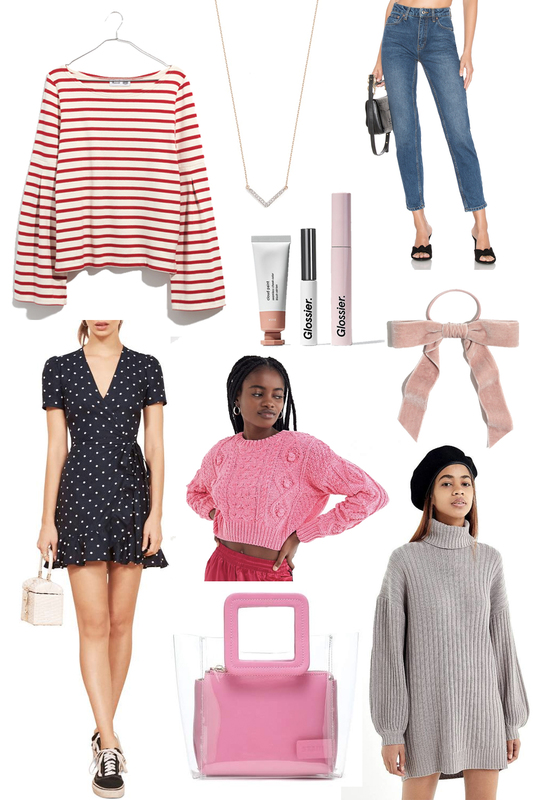 This year, I'm turning to my favorite things that I'll never get enough of: sweaters from Urban Outfitters, Glossier's makeup, Reformation dresses, and dainty jewelry. Nothing crazy, just Lindsey classics that I know I'll love.